Includes 27.2 mm seat post and shim, and high quality headset. 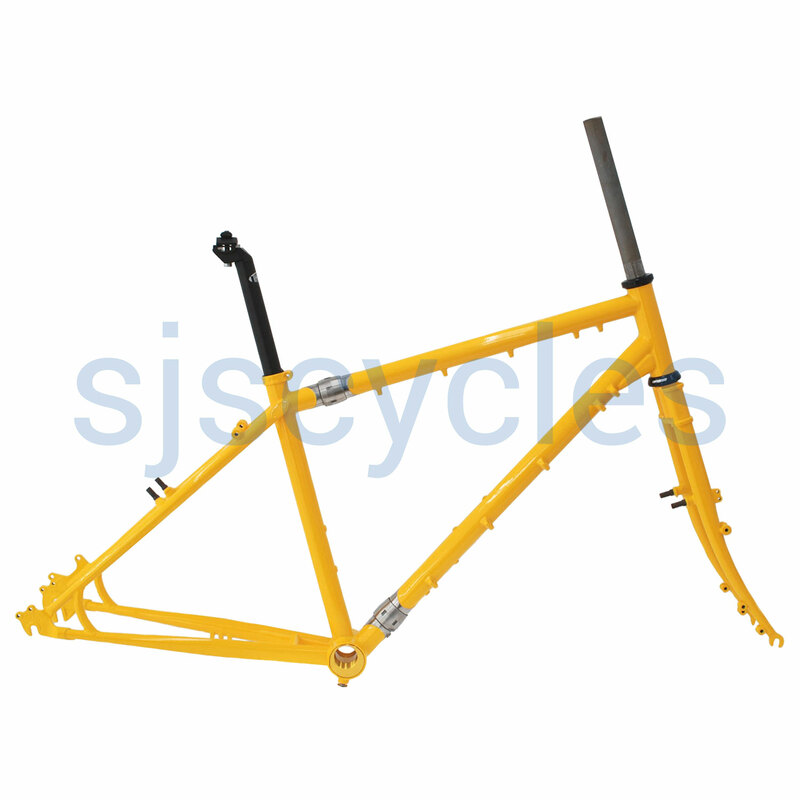 Supplied with expedition quality steel fork with carrier, mudguard, dynamo and lamp bosses. This frame is suitable for suspension forks from 80 mm - 120 mm travel routing for EX version of the Rohloff hub, stainless guides and bosses, M6 stainless carrier bosses on front fork, stainless seat clamp. ISO rear disc mount. Seat tube is 31.8 mm, top tube is 31.8 mm, down tube is 34.9 mm, 19 mm seat stays. Includes: 1 1/8 (28.6mm) Orbit XL2 threadless headset, 27.2mm alloy micro adjust seat post, alloy eccentric and eccentric screws. The frame comes with the Thorn head badge and can be supplied with vinyl decals in either black or silver, free of charge - contact us if decals required.